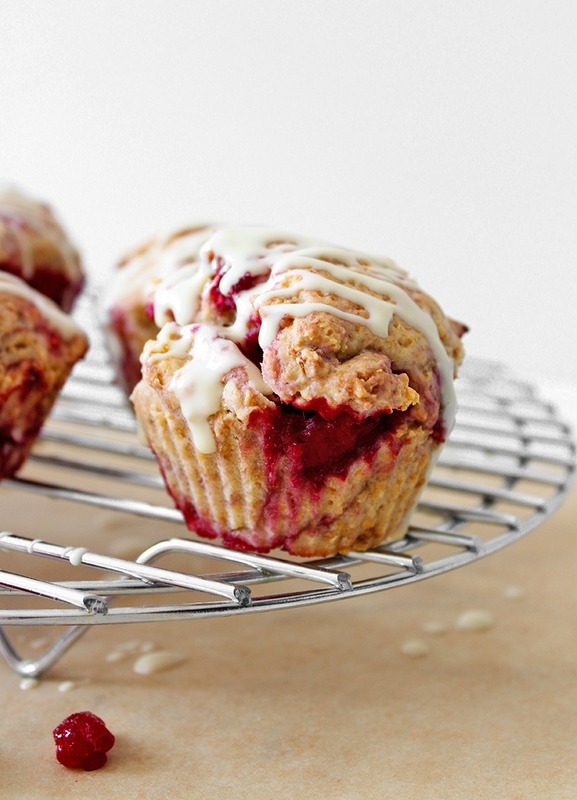 Making these raspberry muffins is very simple and I personally find it quite relaxing. Start by preheating your oven and laying out your little muffin liners onto a tray. Then prepare two flax eggs by adding two tablespoons of flax meal into a small bowl and mix that with four tablespoons of water. Let it sit until it becomes thick, this usually takes only two to four minutes. While that’s happening, you can whisk all of your dry ingredients in a large bowl, then all of your wet ingredients (including the flax eggs) in another bowl, now combine them by gently folding the batter together. 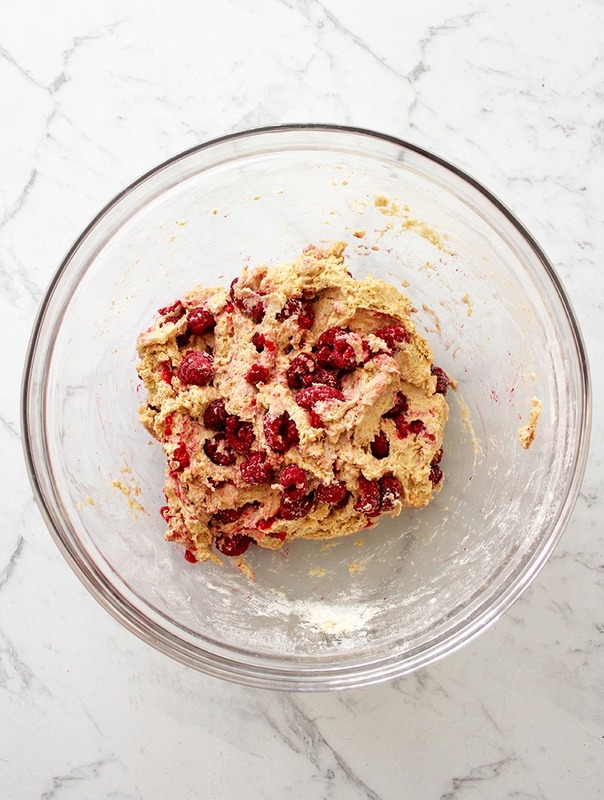 Next mix in your frozen raspberries along with anything else like you’d like to add into the muffins. Next time I make them I’ll be trying them with macadamia nuts! Spoon the batter into the liners, pop the tray into the oven until they’re golden on top, let them cool and then drizzle your melted white chocolate over the top. The vegan white chocolate I used for this recipe is this one by Sweet William. Now they’re all ready to be enjoyed with a big cup of tea and a good book. 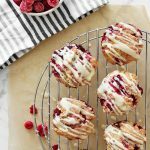 If you’re interested in more sweet and cute recipes, check out these chai-spiced cupcakes or other baking recipes on LemonThyme. 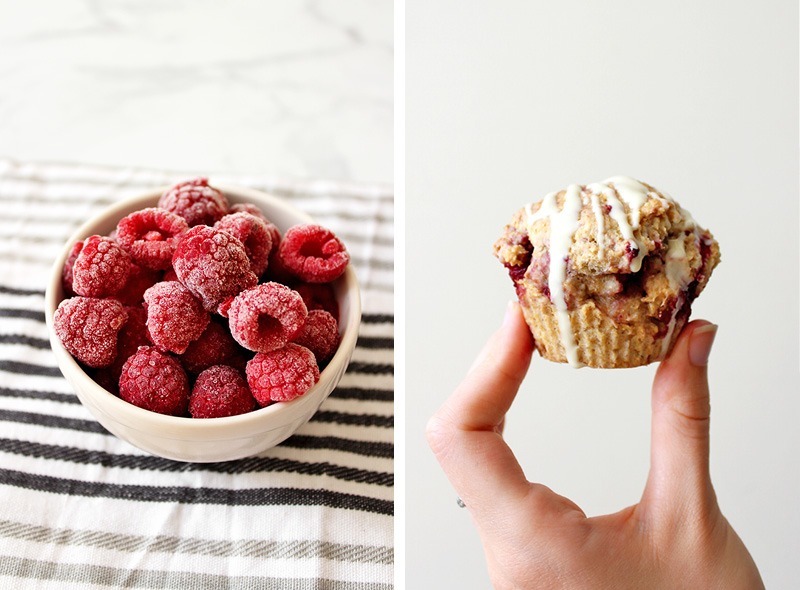 If you make these raspberry muffins, share your pics with me on Instagram, just tag me @lemonthy.me, I love to see your recreations! Also feel free, as always, to leave any questions, comments or suggestions below. Preheat the oven to 200°C (390°F) and line a tray with 12 muffin liners. Prepare your flax eggs by mixing the flaxmeal and water in a small bowl and letting that sit for 2-4 minutes to become thick. Whisk the flour, baking powder, baking soda and salt in a large bowl. In a separate bowl, whisk the butter and sugar, then add and whisk in the milk, flax eggs and agave nectar. Gently fold the wet mixture into the dry until it becomes a moist dough-like batter. 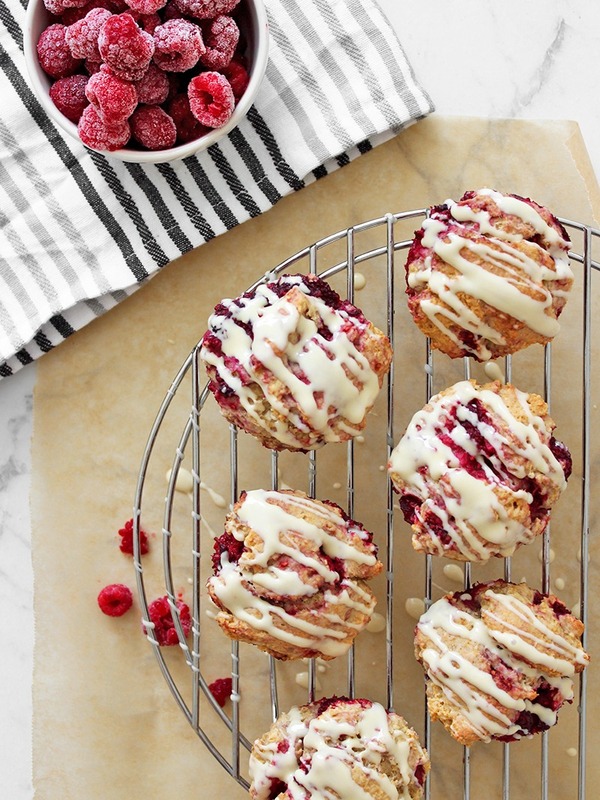 Carefully mix in the frozen raspberries and spoon the batter into the muffin liners. Fill each liner, smoothing the top with the back of your spoon. Place the muffins into the oven for 15 minutes until they become lightly golden on top and an inserted fork comes out clean. 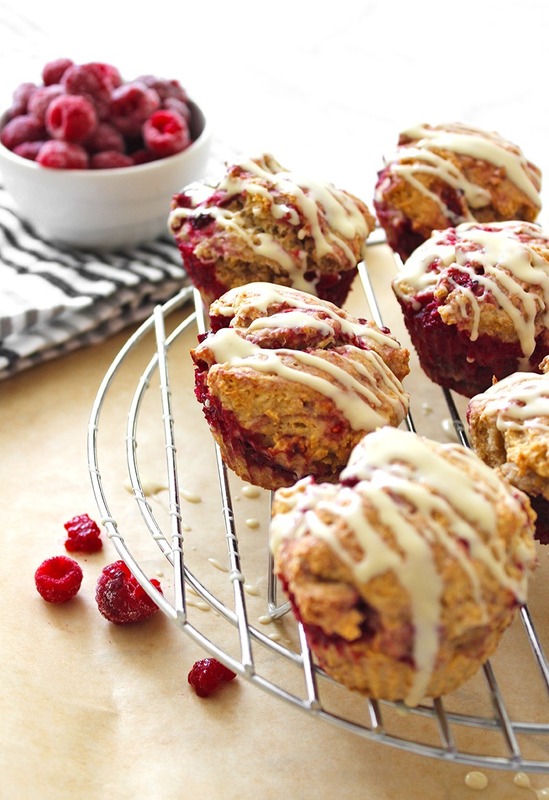 Drizzle the melted white chocolate over the top and enjoy them cool with a cup of tea!